One of the biggest risks a company faces is the presence of data on retired digital assets. The longer you wait to destroy outdated and unwanted data stored on hard drives and tapes, the greater your risk of a data breach, identity theft and business fraud. Your media is destroyed on-site at your business by screened professionals while you watch. To schedule NAID AAA Certified destruction of your hard drives and media, call us at 214-333-3453 or complete the form on this page. It’s not enough to erase or delete the data on your media. With available software tools, identity thieves can recover confidential data on erased devices. That's why it's important to have a destruction solution that renders your media completely inoperable and unreadable. Our NAID AAA Certified destruction ensures a strict chain of custody during the collection, destruction, and recycling of your media. After the destruction, we recycle the shredded material and give you a Certificate of Destruction. We make sure your business meets the requirements of local, state and federal regulations. You don't want your electronic waste dumped in a landfill where they contaminate the environment. We help you dispose of your digital media in an environmentally-friendly manner. After destroying the data on your media, we use a state-audited recycling partner who recycles all possible materials, then safely disposes of the remaining waste. 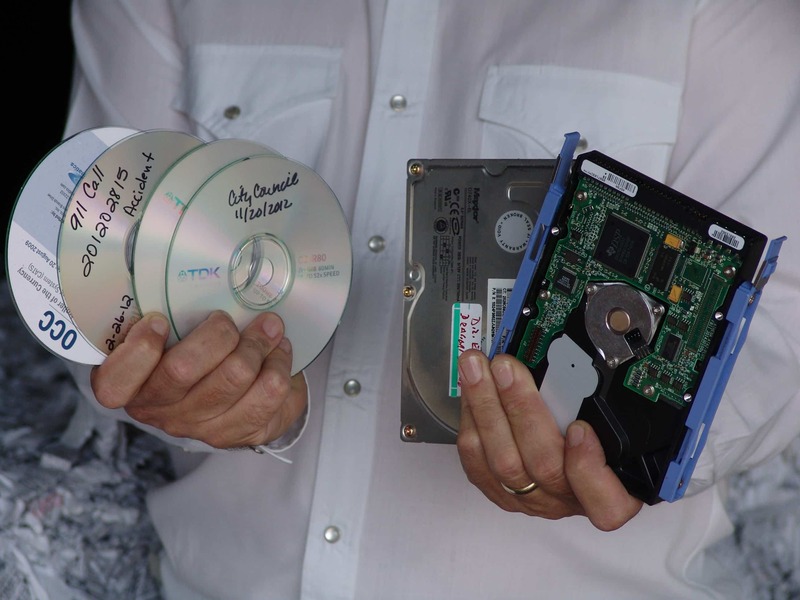 To learn more about our hard drive and media destruction services for businesses in Dallas-Fort Worth. please call us at 214-333-3453 or complete the form on this page.